The University of Liège (ULiège) is happy to announce its next ERASMUS Staff Training Week 2019 that will take place between 12 and 14 June 2019. Subject of the Staff Week: “Master class HRS4R for newcomers” – A 3-day participative seminar dedicated to managers from institutions which would like to apply efficiently to the European HRS4R award. The application deadline is May 1st, 2019. Confirmations of participation will be sent around May 8th. Please do not make travel arrangements before your participation is confirmed. There are no participation fees. 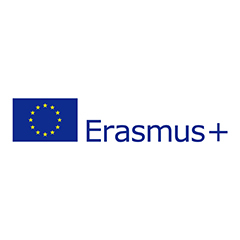 Participants are expected to cover theirown travel and living expenses through the Erasmus Staff Mobility Programme for Training or otherwise. The Universidad Politécnica de Madrid (UPM) is pleased to invite you to take part in the 16th International Week STT & STA Erasmus and that will be held from June 17-21, 2019. We invite you to hold a brief presentation (3-5 minutes) about your institution. Please, be aware that we may restrict the number of staff, depending on the total number of applicants, we will accept a maximum two representatives from each Institution. We are certain that this proposal will increase our international experience and be beneficial for all the participating Universities, so please, forward this invitation to the people who might be interested in joining us for this event and sharing this intercultural week. We are looking forward to welcome you in Madrid! we are glad to inform you that the University of Palermo is organizing the annual Staff week addressed to administrative staff. The Staff week will takeplace from the 20th to the 24th of May 2019. The main purpose of this event is aimed at widening and strengthening the cooperation with our partner institutions, sharing our different experiences on internationalization, facilitating networking and establishment of new partnerships. Participants will be given the opportunity to learn from the experiences and good practices of partner institutions. They will be given an opportunity to exchange ideas about fostering student and staff mobility, topresent their home universities, structures and working practices, to exploreand discuss special topics of interest within the field of internationalization, and much more. The program will cover presentations,workshops, conferences, and cultural activities. Moreover, time will beprovided for individual meetings with colleagues of UniPa departments or visitsto university sites. Please find enclosed the Erasmus Staff Week Preliminary Program. The participation fee is 200 €. UniPa will cover the costs of work materials,coffee breaks, lunches, a trip to Cefalù, guided visits and farewell brunch. We are very pleased to inform you that the University of Catania will be hosting the 9th edition of our ERASMUS STAFF WEEK on "Erasmus+ Staff Mobility: Challenge-Based Approaches". The event, scheduled between 4th - 7th June, 2019, is addressed to academic and administrative staff and will offer an intensive program focused on staff mobility exchanges as a tool for developing competences and for promoting the quality of shared curricula and educational programs. The subscription to our International Staff Week is still open! Don’t miss the opportunity to make contacts all across Europe and to get to know USN from the inside! More than 30 participants from all over Europe have subscribed so far! University of South-Eastern Norway has the pleasure to invite you to our first International Staff Week 2019: ‘Global mindset in industry, partnershhips and higher education’ – a week designed for both academic and administrative staff. The event is open for subscription until March 31st. This will be USN’s first international staff week ever – an event you do not want to miss! Please register online at the link below. We are looking forward to seeing you in Norway in June! Welcome to register at our International Staff Week. Subscription deadline March 31st. Registration fee includes lunch, dinner, cultural events, and seminar days. It will be a great pleasure for us to host you at 2nd International Staff Week, to be held on June 24 – 28 June 2019 by Kocaeli University, Turkey. Looking forward to hearing from you and welcoming you in June 2019 in Kocaeli. It is a great pleasure to announce the 9th edition of the University of Málaga ERASMUS+ Staff Training Week that will be held from 6 to 10 of May 2019. Attached you can find the provisional programme of the UMA STT Week.Participation in our International Staff Training Week can be possible only in the areas included in the application form. Application deadline: March 20th 2019. Please, feel free to relay this invitation to your colleagues working in the application form mentioned areas. We have a limited number of available places and the participants’ selection will take approximately one month. We will inform you about the approval of your application at the middle of April. Please, do not reply to this email address. We are glad to have this opportunity to contact you withannouncement of our 5th International Staff Week that will be held from 09 - 15June 2019, at the University of Osijek, in Osijek, Croatia. With this e-mail we would like to invite you and yourcolleagues to join us for this event, which would give us a chance to meet inperson and to discuss the aspects of our future cooperation. The program organized during this week is preliminary andit can be tailored to cover specific topics of participants' interests,therefore, we remain at your disposal for all further information. We would be honored to have the opportunity of welcomingyou in Osijek! Çukurova University is pleased to invite you to join INTERNATIONAL STAFF WEEK 2019 “The Role of Erasmus+ Mobility Programs in Internationalization at Home” on 08-12 April 2019. The target group of the Erasmus Staff Week is staff working at international offices in charge of Erasmus Mobility Programs, Strategic Planning, and International Projects, particularly International Credit Mobility and/or international agreements. This week aims to offer an opportunity to the participants to present their universities, get to know more about Çukurova University, share best practices in “Internationalization at Home” and “International Credit Mobility” and discuss the logistical issues and services related to implementation. It will also be a great chance for the participant university representatives to visit faculties and meet faculty and department coordinators on the Faculty Day. Participants are expected to give a 10-min presentation about their university and international activities to support Internationalization at Home as “Best Practice” and/or share their experiences about their ICM projects. We foresee a maximum of two people per participating institution. There is no participation fee and participants would need to cover their accommodation and travel expenses. Çukurova University will provide lunch, Welcome dinner, coffee breaks, excursion to Cappadocia and transportation in the city during the event. For accommodation, we will send a list of hotels soon. To apply, please fill in the “application form” and send us via email. The deadline for applying is 8 March 2019. All applicants will be notified about the selection results several days after the deadline. We are very much looking forward to meeting and hosting you at Çukurova University, Adana. the University of Pardubice invites teachers and staff from other universities to take part in the International Staff Week 2019, which will be held from 3 to 7 June 2019. This year's topic is "Motivating Students to go on Mobility". Please find more information in the preliminary programme. Participation in the International Staff Week is free of charge. The University of Pardubice will cover the cost of coffee breaks, the networking dinner and cultural events. Participants are expected to cover their travel, accommodation and living expenses from grants from their home institutions. The official language of communication of the International Staff Week is English. We are looking forward to showing you the University of Pardubice as well as the beauty of the town and Pardubice region. For more information, contact Libuše Cermanová at Libuse.Cermanova@upce.cz. Registration form of the International Staff Week is open here until 21 April 2019. If you have any questions, please, don’t hesitate to contact us! Please be so kind and pass on this invitation to your departments and to other academic staff that might be interested in participating. We are looking forward to offering our colleagues a fruitful International Staff Week at our University and a nice stay in Pardubice. The Universitat Rovira i Virgili warmly invites you to its International Staff Week on Internationalisation to be held June 25th to 28th, 2019. Our International Staff Week this year will provide participants with the opportunity to learn and discuss around the different models and functions of international offices. Some of the questions that we will attempt to answer are: What services must an international office offer? Do we market them within our institutions? Do we communicate transparently about what we offer? How can we improve our communication and marketing, and thus our internationalisation? How can we manage our international office more effectively? Is our office focused only towards the outside of the institution? What about the inside? It is our pleasure to invite you to the VI International Staff Week organized by the University of A Coruña (Spain) taking place from 6 to 9th May 2019. We are happy to welcome colleagues from International Offices. We can receive 20 participants, and no more than 2 participants per university will be accepted, since we would like to have a diversified international group. The language of the Staff Week is English. Please feel free to forward the information to your colleagues! Greetings from the University of Franche-Comté (UFC), France! Our International Relations and Francophonie's office has the pleasure to organise its first Erasmus+ staff week open to European countries, from May 13th until May 16th 2019. We have identified your university as a partner with which we are eager to strenghten the cooperation. Thus, we cordially invite you to attend this event. Please find enclosed a preliminary program of the event. We are pleased to inform you our International Office will be hosting a Staff Training Week (3 - 7 June 2019. In attachment you can find the preliminary program and the registration form. This year we are implementing again an activity regarding our role as host institution for International non-teaching higher education staff. Instead of welcoming our visitors individually throughout the year, we will organize a one-week training group. We shall welcome non-teaching staff from our partner Higher Education Institutions (HEI) in the week of 6th-10th May 2019. A limit of three staff per institution has been established to guarantee participation of a more diverse range of HEI. It is a pleasure to announce that the Faculty of Tourism at the Universitat de les Illes Balears will host an International Week from April 10th to 12th, 2019. You can find more information on our web page https://internationalweek2019.uib.eu/. This information is also available on the Erasmus Staff Training website. For further inquiries, you may directly contact our Erasmus Coordinator Rebeca Mendez-Duron. Uşak University has the pleasure to invite you to its International Staff Week in the framework of the Erasmus+ Programme which will take place from 29th April to 3rd May 2019 in Uşak, Turkey. The participants will have the opportunity to get to know our University, receive information on how we work for our exchange programmes and other international activities while they will also meet their contact persons per department, if they wish to do so. The 3-day programme includes round table discussions, presentations and social events. Both the host organization and the event participants will give a presentation about their institutions and the participants will share and distribute the documents about their universities in the framework of interactive workshops. In the context of cultural activities, a guided tour to the most famous centres of Uşak (e.g., Ulubey Canyon) , a visit to the Uşak Museum of Archaeology which displays the world famous Karun Treasures in a modern environment, a day trip to Ephesus which is one of the largest Roman archaeological sites in the eastern Mediterranean, will be organized. Our guests are more than welcome to participate. The Universitat Autònoma de Barcelona organizes a new Erasmus Staff Week (ESW), addressed to staff members from partner Universities working in International Offices that are interested in knowing the UAB and its way of working as a public university from an International perspective. This year we are also offering a Spanish course together with our Workshops. We highly encourage the staff interested in visiting the UAB within the Erasmus Staff Training action of the Erasmus+ program to join our Erasmus Staff Week. Unfortunately, for capacity reasons we are not able to receive staff for a jobshadowing or individual training visits out of the ESW scheme. http://www.uab.cat/ enllaç "Mobilitat i intercanvi"
http://www.uab.cat/ link "Mobility and exchange"
We are writing to invite you to our 2nd Staff Training Week held at the Universitat Jaume I from the 20th - 24th May 2019. You can enjoy walking around the city and taking in the history, or visiting the three beaches which are without a doubt among the best in Spain for the quality of water and the many services and recreational activities available. Alternatively take a trip walking or mountain-bike riding in the nearby Desert de les Palmes Nature Reserve. We are happy to announce that Paul-Valéry Montpellier 3 University is co-organizing with the University of Ghent a Staff training Week in the framework of the Erasmus+ Strategic Partnership project REALISE, coordinated by our university. This event, entitled Staff Mobility in the Spotlight aims at training IRO Officers, but also every person interested in improving the promotion and the recognition of Erasmus+ Staff Mobility in their institution. You will find below some information on the programme of the Staff Training Week, and by clicking on this picture you will be redirected towards the full programme, or by visiting the iMotion presentation through this link. Thank you in advance for promoting this event within your institution. The deadline for applying has been set on February 18th 2019. On the third week of February we will inform you of the participants selected. We look forward to meeting you in Murcia next May. SMW-19 will have a recurring topic for all participants in the joint programme: the Viking Age! Application deadline is February 17 2019. We have a maximum of 50 participants – around 12 participants in each group. We normally do not accept more than one person per partner university per track. We are happy to announce the 5th edition of the Erasmus+ Staff Week at the University of Dubrovnik for teaching and non-teaching staff from our partner institution, taking place from 25 - 29 March 2019. Teaching staff should fill in the attached application form and specify the courses they regularly teach at home institutions. Members of the teaching staff have to give at least 8 hours of lectures at UNIDU departments in regards to their scientific field. For non – teaching staff from International Relations offices we'll organize a training „Internationalization at home“ and we'll have the pleasure to host Mrs. Justyna Giezynska a higher education internationalisation expert, president of Luminar Foundation and Studybility CEO from Warsaw, Poland as our trainer. Please refer to our website (https://www.tu-dresden.de/sprint/staff_week) for more detailed information about the programme, the registration process as well as your stay in Dresden. You can also find the most important information in the attached document. Application is possible until 28th February 2019. We would like to invite you for the 4th Staff Week “Erasmus+ in Practice” organised by Jan Evangelista Purkyně University in Ústí nad Labem. The staff week will be held on May 20 – 24, 2019 and will be open to the representatives of International Offices of foreign universities for their Erasmus+ trainings. Join us and spend one week at our university. We look forward to meeting you in Ústí nad Labem. University of South-Eastern Norway has the pleasure to invite you to our first International Staff Week 2019, 3 - 6 June: ‘Global mindset in industry, partnershhips and higher education’ – a week designed for both academic and administrative staff. The event is now open for subscription. This will be USN’s first international staff week ever – an event you do not want to miss! Please register online at the link below. We are looking forward to seeing you in Norway in June! We invite you to join our International Staff Training Week 2019, which will take place from June 17th to June 21st, 2019. The Staff Training Week is composed of four different programs full of variety - there will be workshops, group events, tours, presentations, sportive activities, and, of course, time to connect and network. We would like to invite you to the Graz University Erasmus Staff Week (GUEST), which will take place from May 6-10, 2019. Please find the flyer (incl. preliminary program) in the attachment. Our program will focus on topical issues and trends in the internationalization of higher education. It provides a platform for exchanging experience, sharing good practice and the creating new ideas. The program relies of different formats, including information sessions, workshops and round table discussions. The staff training week will not only support the transfer of knowledge but also the strengthening of existing and creation of new cooperation links. The online application form is available here. Please submit your application by January 31, 2019. We would like to invite you to participate in "International Staff Week on Student Absenteeism and Early School Leaving" between the dates of 01-05 April 2019 by Kütahya Dumlupınar University, Kütahya/TURKEY. It is a three-day training organisation aiming to exchange the ideas in the related fields and to make a great deal of contribution to the internationalisation of the universities, it also functions as a dissemination activity for the Erasmus+ KA2 Strategic Partnership Project named as "Improving Solutions for Student Absenteeism" (2016-1-TR01-KA201-034947). This staff week will be on not only student absenteeism and early school leaving but also Erasmus+ KA2 Strategic Partnerships Projects. Therefore, it will be a great opportunity to improve the inter-institutional relations for networking. We would like to welcome colleagues from the universities all around the world working in the departments of international relations, educational sciences, sociology, pedagogy, and also staff in the international relations office. All the sessions will be held in English. We welcome participation from both faculty and staff for an opportunity to learn and share about competences required for working in intercultural environments within higher education. Staff training and professional development takes place through various workshops and through job-shadowing colleagues at Linnaeus University and networking with all participants. In addition, you will be able to explore the campuses of Kalmar and Växjö with region. We appreciate that you share this invitation throughout your institution and look forward to hearing from you soon! Have you missed information about Linnaeus University Summer Academy 2019? Who can attend:All university staff . Deadline: 2 weeks before the course starts. This International Week is directed to teaching and administrative staff, dealing with international cooperation, exchange programmes and international students. During International week Klaipeda University organizes a staff training programme for teachers and/or administrative staff. It is a great opportunity for you to network with colleagues from different countries and Universities! 15th Erasmus Week that will be held at the Polytechnic Institute of Bragança from 13th till 17th of May 2019. We would like to invite teachers and staff members to participate in this event. ‘Global mindset in industry and higher education’ – a week designed for both academic and administrative staff. SAVE THE DATES: 3-6 June, 2019. This will be USN’s first staff week ever – an event you do not want to miss! We would like to invite you to our International Week (March 11- 15, 2019). International Week: March 11-15, 2019. We would like to invite Faculties from your Institution to teach students from our three Leonard de Vinci Schools. You will find attached the call for proposals and the course outline form, to be sent by November 30th, 2018. Thank you very much in advance and do not hesitate to contact us if you have any questions. It is our pleasure to invite you to attend the 9th International Week at TBU in Zlín. The International Week will take place at TBU between 8 April and 12 April 2019. Programme is intended for representatives of International Offices only and it will include presentations, discussions as well as social events. The International Week also gives the participants the opportunity to broaden and strengthen cooperation between partner institutions in both educational and/or research projects. The Faculty of Law and Business and Economic Sciences of the University of Córdoba (Spain) is pleased to announce its 1st International Week, which will be held from 1st to 5th of April 2019. This means an opportunity for lecturers to have visiting lectures at our university. Deadline for application: November, 30th, 2018. We are pleased to invite you to join our 9th International Week, which will take place between 1st- 5th April, 2019. We look forward to meeting teaching and administrative staff of your universities. The main purpose of the programme is to share working experiences, internationalize current practices and network with partners. Participants are also expected to give presentation. Pamukkale University will cover most of the social-cultural activity programmes during the week, but all travel costs, some programmes some meals and accommodation have to be covered by the participants (participants can use Erasmus Mobility Grant). We are pleased to invite you to our International Staff Training Week concerning Employability Services at Porto, to be held from Monday, November 26th to Friday, November 30th 2018. Both academic and non-academic staff from our international partner universities are welcome to attend this event. In a join venture with University of Trás-os-Montes e Alto Douro (Portugal) and University of Vigo (Spain), the main purpose of our International Staff Training Week is to widen and strengthen the cooperation with partner institutions, to share different experiences on career & employability services, to facilitate networking and establish new partnerships. It is a fantastic opportunity to share best practice with colleagues from all over the world. REGISTRATION: Please do your registration at this form until September 28th. We will sign all your document (the Invitation Letter and the Agreement) immediately once your solicitation is received. Faculty of Business and Economics warmly invites teaching staff from partner universities to join our International Teaching Staff Week, which will take place at the Faculty of Business and Economics of Mendel University in Brno in October/November 2018 (29.10. – 2.11. 2018). It is a pleasure to invite you to the VI IPSantarém International Week, that will take place in Santarém (Portugal) from 4 to 8 June 2018. This year topic is Erasmus+ Goes Local: Internationalization at Home. We cordially invite you to the Erasmus Staff Training Week 2018 (04 June – 08 June), organized by our International Office. You are all invited to the Erasmus Staff Week held by Manisa Celal Bayar University between on 9 -13 May 2018. The staff week will be held on May 21 - 25, 2018 and will be open ONLY to the representatives of International Offices of foreign universities/faculties for their Erasmus+ trainings. Just a short reminder that you can apply for a participation at our 5th International Week - Global citizenship and intercultural communication in Higher Education Institutions at the University of Hildesheim until March 31st. We already have applications from countries such as Turkey, Spain, Portugal, France, UK, Austria, Italy, Brasil and Armenia but we still have a few places (not many!) free. So join us for a wonderful week to learn more abut intercultural communication and how to handle ifficult intercultural situations in your daily work. You are warmly invited to apply to the FIRST INTERNATIONAL WEEK OF UNIR – International University of La Rioja taking place from Wednesday, 23 May 2018 to Friday 25 May 2018, which will focus on innovation in mobility in Higher Education, explored through talks, workshops and discussion forums. We are very pleased to inform you that the University of Catania will be hosting the 8th edition of our ERASMUS STAFF WEEK on “Innovation in Global Mobility within Higher Education”. The event, scheduled between 16th and 20th April, 2018, is addressed to academic and administrative staff and will focus on projects and proposals for strengthening innovation strategies in global mobility programs. We would like to invite you for the 3rd Staff Week “Erasmus+ in Practice” organised by Jan Evangelista Purkyně University in Ústí nad Labem (CZ USTINAD01). Who can attend: All university staff . It is our pleasure to invite you to the V International Staff Week organized by the University of A Coruña (Spain) taking place from 7 to 10th May 2018. The UMinho is very pleased to announce its UM_INT: UMinho INTernational Week which will be held between 7-11 May 2018. Estonian University of Life Sciences is pleased to invite you to join our third Erasmus+ Staff Training Week taking place in Tartu on May 7 – 11, 2018. Kocaeli University invites European partners and institutions worldwide to the Erasmus+ International Staff Week 2018 that will take place from May 7th to 11th, 2018. With the help of this international week, our participants will be able to learn more about Kocaeli University, which has more than 80000 students, diverse programs, a great campus and a wonderful location (1 hour distance by bus to İstanbul). The aim of the event is to enable to form stronger relationships with our already existing international partners, creating a chance for networking and better cooperation for student and staff mobility. 8th ERASMUS STAFF TRAINING WEEK at the University of Cyprus, Nicosia, Cyprus, June 2018! - "Train the Trainer - Training for Mobility Officers"
The Mobility Support Office of the University of Cyprus in Nicosia, Cyprus is pleased to invite you to its 8th ERASMUS STAFF TRAINING WEEK with the theme “Train the Trainer – Training for Mobility Officers” which will be held between the 4th and 8th June 2018 in Nicosia, Cyprus. Ghent University invites you to a staff training week in May 2018. We are pleased to invite you and the staff members of your University to the 6th Erasmus Staff Training Week at the University of Hradec Králové taking place from 16th to 20th April 2018. Universidad Politécnica de Madrid (UPM) is pleased to invite you to take part in the 15th International Week STT & STA Erasmus that will be held from 18th to 22th June 2018. European University Viadrina is pleased to announce its 3rd Staff Training Week to which we invite colleagues from all our partner universities. We are pleased to announce the 3rd International Conference on Teacher Education, The Professor as a professional of human development, INCTE 2018 - http://incte.ipb.pt - which will be held on 4-5 May 2018, in the School of Education (ESEB) of the Polytechnic Institute of Bragança, Portugal. It is with great pleasure that we invite you to our 1st International Staff Week at the Language Center of the University of Valladolid (Spain) to be held from 7th to 11th May 2018. We welcome participation from both academic and administrative staff. The focus of the week will be on the Spanish language, dealing with other aspects such as Spanish culture, higher education system and economy. Please find the information regarding this International Staff Week on the following link http://staffmobility.eu/staffweek/1st-international-staff-week-spanish. Application deadline: April 27th, 2018. Aristotle University of Thessaloniki (AUTh) is organizing its 2nd Erasmus Library Staff Training Week from the 14th till the 18th of May 2018 in Thessaloniki. I am very pleased to inform you that the 4th Edition of the Erasmus+ International Staff Week will be held between 18 and 23 June in Vieste, Province of Foggia, IT. We are pleased to announce that International Staff Training Days will be held at the University of Iceland 16-18 May 2018. The Staff Days are open to university employees working in the field of international relations and mobility. We especially welcome colleagues from our partner universities. The University of Groningen is pleased to announce our Erasmus plus Staff week. The event will take place from 9 to 13 April, 2018. I am pleased to invite you to Masaryk University Staff Training weeks (MUST Weeks) going to be held in 2018 in these fields. W załączeniu przesyłam „Zasady rekrutacji na wyjazdy pracowników UAM w ramach programu Erasmus+ w roku akademickim 2017/2018”. It is a great pleasure to invite you and your colleagues for our 14th Erasmus Week that will be held at the Polytechnic Institute of Bragança from 14th till 18th of May 2018. We would like to invite teachers and staff members to participate in this event. The University of Nicosia has the pleasure to invite you to its 3rd Erasmus+ International Staff Training Week, which will take place from March 26 until March 30, 2018. The JYU International Office is pleased to announce the Erasmus+ staff exchange week 2018 open for applications! The event, taking place on 15 - 19 January, will be hosted by the Student and Academic Services, and consist of two parallel tracks, joint networking events and departmental visits. All sessions will be run as interactive workshops based on active participation and sharing of best practices. The University of Zurich is hosting an interesting staff week in November. We would be grateful if you could share the below information with colleagues in the relevant departments (see areas below) at your institution. Staff Training offer for the 2017/18 academic year. The University of Zurich is hosting an interesting staff week this summer. We are very pleased to announce our 2nd International Staff Week at Stranmillis University College from 6th – 10th November 2017 and we warmly invite you to join us to experience Stranmillis University College and our local culture in Belfast, Northern Ireland. We are pleased to warmly invite teaching staff from partner universities to join our International Teaching Staff Week ("Modern methods of teaching"), which will take place at the Faculty of Business and Economics of Mendel University in Brno from 16. – 20. 10. 2017. The Open University of Cyprus organizes its 4th Erasmus International Staff Week from the 6th till the 9th of June 2017. The International Staff Week, which is coordinated by the OUC International Relations, Development and Communications Service, will take place in Nicosia, at the premises of the Open University. We are pleased to announce that Constantine the Philosopher University in Nitra is organizing International Erasmus+ Staff Training Week from June 12 – 16, 2017. The week is organised by our International Relations and Mobility Office in cooperation with our faculties. We will be very delighted to welcome administrative and/or teaching staff preferably from our partner institutions. The Saarland University is organizing its very first international Staff Week! Focused on Europe, our event aims at increasing our knowledge on internationalisation issues in Higher Education, sharing information and best practice on the various instruments used to support the European focus, getting to know each other and learning from one another. The University of Nicosia has the pleasure to invite you to its 2nd Erasmus+ International Staff Training Week, which will take place from the 19th until the 23rd of June 2017. The University of Minho (Portugal) is very pleased to announce its UM_INT: UMinho INTernational Week which will be held between June 19th-22nd, 2017. This year we are implementing an important innovation regarding our role as host institution for international non-teaching higher education staff. Instead of welcoming our visitors individually throughout the year, we have organized a one-week training group event whose draft programme we are attaching. According to the EXCHANGE! draft programme (find it attached) this year we shall welcome to our Faculty non-teaching staff from our partner Higher Education Institutions (HEI) -a limit of three staff per institution has been established to guarantee participation of a diverse range of HEI- during the week of May 15th-19th. We would like to warmly invite you to the Third International Staff Training Week organized by International Office at University of Castilla-La Mancha in the campus of Toledo. The University of Greifswald cordially invites you to our first international Staff Training Week, which will be held from the 12th-16th June 2017. We are very pleased to announce that our second Erasmus + staff training week will take place from July 3rd to July 7th 2017. We are glad to have this opportunity to contact you with announcement of our International Staff Week that will be held from 11 - 17 June 2017, at the University of Osijek, Croatia. It is a great pleasure to announce the 7th edition of the University of Málaga ERASMUS+ Staff Training Week that will be held between 8th and 12th May 2017. We are pleased to inform you that the University of Catania will be holding in Catania the seventh edition of ERASMUS STAFF WEEK “Traineeship for students: a bridge to the work market” between May 8-12 2017, addressed to administrative and academic staff dealing with International Incoming/outgoing mobility at UNICT specifically focusing on traineeship for students. We would like to invite the staff members of your International Relations Office to the third Staff Training Week of the UNIVERSITY OF THE BASQUE COUNTRY (Spain), on 5-9 June 2017. We are happy to announce the International Staff Week on Best Practices in Comprehensive Internationalisation (8-12 May 2017). We would like to invite you in Vieste, Province of Foggia, where the third edition of our Erasmus Staff Week will take place between 19 and 24 June 2017. We would like to invite you to attend our International Week at the Polytechnic Institute of Leiria, that will be held from May 2nd to May 5th 2017! The Erasmus+ Program has been enriching lives for the past 30 years. It is not just a time in someone's existence, it is a turning point. The University of Pécs has been celebrating the 650th anniversary of its foundation in 2017. Using this joyful opportunity, we would like to refresh our Erasmus+ projects and partnerships by sharing knowledge and ideas with You! The Universidad Politécnica de Madrid (UPM) warmly welcomes staff members from European Universities to apply for the next session of our Staff Training Week from 12 to 16 June, 2017. The working language will be English. We are glad to invite you to take part in the International Staff Week on Joint Programmes “Structured vs. Unstructured Mobility” that will be held at the Universidad Autónoma de Madrid (UAM) on 15-17 March 2017. We are happy to announce the 3rd edition of the Erasmus+ Staff Week at the University of Dubrovnik for both teaching and non teaching staff from our partner institutions, taking place from 3 to 7 April 2017. The Vice-Chancellor for Coordination and Internationalization cordially invites you to participate in the Erasmus Staff Week that will take place at the University of Murcia from 15th to 19th of May 2017. During June 12th–16th, 2017 we are hosting our 5th Linnaeus University International Staff Training Week in the cities of Kalmar and Växjö, Sweden. We welcome participation from both faculty and staff. The focus of the week is Intercultural Communication (ICC) and the Global Classroom, with an opportunity to learn about and discuss key concepts related to intercultural communication, cultural intelligence and teaching and serving students in a digital era. Please visit the link for application and information. University of Helsinki International Staff Exchange Weeks (ISEW) provide a unique opportunity for non-academic staff to update professional skills and revise routines. We welcome administrative and service personnel from universities and institutions around Europe to network, benchmark and learn from one another. The Mannheim University Library invites you to the first ERASMUS Staff Training for Librarians in Mannheim, Germany, in March 2017. We are happy to invite you to our next International Staff Days in May 9 – 12, 2017 and we look forward to your participation! Technische Universität Dresden (TUD) is organising its third International Staff Training Week, and we would like to take the opportunity to invite you to this event. We invite you and your colleagues for our 13th Erasmus Week that will be held at the Polytechnic Institute of Bragança from 15th till 19th May 2017. We would like to invite teachers and staff members to participate in this event (limited number of places available. Thus we may not be able to accept all the applications received). SpainBcn-Programs in Barcelona will be launching the following New Training Programmes. University of Helsinki offers International Staff Exchange Weeks (ISEW) to update professional skills and revise routines through networking and benchmarking in Helsinki. In accordance with the Erasmus+ Programme, the University of Helsinki warmly invites members of administrative personnel from our partner universities to participate in the non-academic staff training. The University of Zurich is happy to announce its first UZH Staff Week taking place November 22-25, 2016. Several departments of the university’s administration are involved and will offer unique insights into their daily work and ongoing projects. It is our great pleasure to invite the academic staff to International Guest Lecturer Week, which will take place at our Business School from November 28 to December 2, 2016. The University of Padova has the pleasure to invite you to participate in the Staff Training Week on “Developing Intercultural Awareness and Empathy in Higher Education”, which is taking place from 22nd to 25th November 2016 in Padova (see programme hereby attached). The focus will be on International Competences from staff and students' perspectives. The intercultural dimension of English Medium Instruction (EMI) will also be approached. The Open University of Cyprus organizes its 3rd International Staff Week between May 23th – 27th 2016. The International Staff Week is held within the framework of the Erasmus+ programme and all participants can secure STT funding to cover their expenditure. Due to the large number of applications received for the INTERNATIONAL WEEK in May, the University of Porto is pleased to announce that an ”extra” edition will be organized between 6th and the 10th of June, in order to give the possibility to a larger number of applicants to participate in this event. Justus Liebig University Giessen invites its partners from International Offices around the world to JLU’s annual International Staff Training Week. This week is organized and hosted by JLU’s International Office and is embedded in the ERASMUS Staff Exchange Programme. We cordially invite you to the Erasmus Staff Training Week 2016 (23 May – 27 May), organized by our International Office. If you are eager to visit our university and city of Leuven and meet colleagues from all over Europe, you can send the registration form (see attachment) to Ms Elke Timmermans (elke.timmermans@intl.kuleuven.be). The full program is in attachment. The Universitat Rovira i Virgili is organizing its International Staff Training Week on 20-23 June. The topic of this edition is Internationalisation Strategy and is aimed at administrative or teaching staff who work specifically in internationalisation strategy planning. Baltic International Academy is pleased to invite you to take part in the 3rd International Week we are holding on 9-13 May in Riga, Latvia. Çukurova University is happy to invite all partner universities to the 2nd STAFF WEEK and Erasmus Day in Adana, Turkey. The event is a perfect opportunity to get to know our university and share experiences with our partner universities, network with colleagues from all over, discuss issues, increase the visibility of partner universities and increase international cooperation. We would like to encourage our partners to come and join us in April (25-29 April 2016). The University of Groningen is happy to invite you to our Erasmus+ Staff Week in May 2016. This year, a 5-day programme will be offered with 2 parallel themes: 'Sports & Culture' and 'Support Services & Careers'. We would like to invite the staff members of your university dealing with international relations to the Second Staff Training Week of the UNIVERSITY OF THE BASQUE COUNTRY, on 6-10 June 2016. Our Staff Training Week will take place at the cities of Donostia/San Sebastián, Vitoria/Gasteiz and Bilbao (Spain). In this way, you will be able to get to know the three Campuses of our University and get the most out of our region. This year we will have the honor to have as special guests to our colleagues from University of Bordeaux (France). For the second time, the Faculty of Economics and Business, has decided to organize an International Week. The aim to this meeting is multiple. We would like to deal about the professional future of our students and overall have the opportunity to meet and share with you the possibilities we offer from the University of the Balearic Islands. We welcome participation from both faculty and staff. The focus of the week will be on Intercultural Communication (ICC) and the Global Classroom, with an opportunity to learn about and discuss key concepts related to intercultural communication and to develop practical skills for cultural intelligence. The week provides a chance to meet with faculty and staff from Linnaeus University and to network with colleagues from our partner institutions, as well as exploring our both campuses and the region. It is our great pleasure to invite you to the UNIOS International Staff Week, which will be organized at Josip Juraj Strossmayer University of Osijek, in Osijek, Croatia, from 06 - 10 June 2016. In the attachment please find the programme and the application form for the staff training week that the International Relations Office of the University of Zadar is planning to hold from 7-10 June 2016. Please take note that we changed the the application deadline to 25 March 2016 in order for the participants to have more time to find the adequate accommodation. You shall be notified about the results of the application procedure no later then 31 March. We would like to warmly invite you to the Second International Staff Training Week organized by International Office at University of Castilla-La Mancha in the campus of Ciudad Real. The International Staff Training Week will take place on 25-29 April, 2016 and will offer you a pleasant week with partner university participations, excursion and Spanish crash course. We are delighted to invite you to our 4th International Week at the University of Hildesheim! We are happy to announce the first Staff Training Week at Europa-Universität Flensburg which will take place from May 2. - 4., 2016. We warmly invite you to experience Europa-Universität Flensburg, the bicultural city of Flensburg and the border region. The University of Nicosia has the pleasure to invite you to its 1st Erasmus+ International Staff Training Week, which will take place from the 7th until the 11th of March 2016. We are pleased to announce that SpainBcn-Programs in Barcelona will be launching the following New Training Programmes. The deadline to apply is February 15, but an earlier application is obviously very welcome. It’s a pleasure for us to invite you to the VII International Staff Week of the University of Almeria. For teaching, information technology staff and international officers. ‘International Strategies on Education and Current Trends and Challenges in University IT Services’. We are inviting you and your colleagues for the 1st Staff Week “Erasmus+ in Practice” organised by Jan Evangelista Purkyne University in Usti nad Labem (CZ USTINAD01). The staff week will be held on April 18 – 22, 2016 and will include both teaching stays and trainings. It is called „Erasmus+ in Practice“ because we would also like to share your experience with the Erasmus+ Programme via samples of good practice. University of Jyväskylä welcomes administrative and academic colleagues from universities around Europe on the second multidisciplinary Erasmus+ staff exchange week organized at JYU on 6-10 June 2016. The week’s program consists of four individual parallel tracks and joint social program for all participants. INTERNATIONAL WEEK AT MERSIN UNIVERSITY: CULTURE AND JOY AT THE MEDITERRANEAN IN SUN-CITY MERSIN-TURKEY AN ADVENTURE BY ITSELF! We are glad to invite you to our International Week at Mersin University, which will be organized for the second time in 09 - 13 May 2016. Our main aim by arranging this event is to increase collaboration among all participants. Our partners will have the opportunity to make a short presentation of their own institutions on the first or second day of the event. All presentations will be held in English and should cover the structure of the International Service at your Institution, participation and networking in exchange programs, courses / degrees offered in English, activities for international students etc. We are pleased to inform you that the University of Catania will be holding in Catania the sixth edition of ERASMUS STAFF WEEK between March 14 - 18 2016, addressed to administrative and academic staff dealing with International Incoming mobility at Unict, specifically focusing on international incoming mobility. We are pleased to invite you to join our 6th International Week, which will take place between 9th-13th May, 2016. We look forward to meeting teaching and administrative staffs of your universities. The main purpose of the programme is to share working experiences, internationalize current practices and network with partners. Participants are also expected to give presentation. We are glad to invite you to the second Pázmány International Staff Training Week held between 9-13 May 2016 in Budapest. The Erasmus Staff Training Week will allow participants to exchange ideas about the implementation of Erasmus+ student and staff mobility, to explore and discuss subjects related to Erasmus+ international through interactive sessions and social events. This ESW programme includes some courses in Greek language that will be offered by the School of Modern Greek of the University. Participants will also have the opportunity to discover the local culture with a Nicosia city tour, an excursion and the Erasmus by night dinner. If you are interested please submit your online application until the 15th January 2016. We are delighted to announce that Technische Universität Dresden (TUD) is organising its second International Staff Training Week, and we would like to take the opportunity to invite you to this event. The details are as follows: International Staff Training Week, 23 – 27 May 2016, at Technische Universität Dresden in Dresden, Germany. 12th Erasmus Week will be held at the Polytechnic Institute of Bragança from 16th till 20th of May 2016. We would like to invite teachers and staff members to participate in this event. We would like to inform you that University of Granada (UGR) will celebrate its Fourth International week next October 2015 (mid October). During this week UGR will organise various activities concerning international mobility, scholarship programmes to study abroad targeted at UGR students, researchers, graduates, lecturers and admin. staff.Throughout the week UGR will promote our partner Institutions. 1. “Intensive Spanish Course” (25 hours). Daily classes: From 9,30 am to 2,30 pm + 2 afternoons with guided visits and Historical Routes. The University of Padova is very pleased to invite you to join its Erasmus International Staff Training Week 2015 under the theme “ERASMUS AND BEYOND: DEVELOPING GLOBAL PERSPECTIVES” taking place on June 9-12th, 2015. The main purpose of this event is to widen and strengthen the cooperation with our partner institutions, to share our different experiences on internationalization, to facilitate networking and establishment of new partnerships. We would like to invite you to our first Staff Training Week focused on Internationalization, 8-12 June 2015. Please, find enclosed preliminary programme. From 8-12 June 2015, University of Dubrovnik will organise its 1st Erasmus+ STT week for nonteaching staff, working in Marketing, PR, Career advice and International offices. We kindly ask you to forward the attached Invitation and Application form to all of your colleagues that might be interested to take part in this event. I’m at your disposal for all inquiries. We would like to inform you that our 1st International Staff Week will be held between 13-17 April 2015 at Eskişehir Osmangazi University and we still have place for those who would like to attend. Attached you can find the program, application form and a small guide for Eskişehir. We are organizing the first Erasmus Staff Week to create an opportunity for our partners to introduce their universities and to share experiences with others while carrying out their Training activities in the frame of Erasmus Staff Exchange program. A five-day program has been planned with this aim. The staff taking part in this event will have the chance to make new contacts and to learn about our university, Ciudad Real campus, country, and culture while conducting training activities. We are pleased to invite you to join the 1st International Staff Week at the University of Balikesir, which will take place from 5 to 9 October 2015 in Balikesir, Turkey. This week is directed to both academic and administrative staff. The programme will cover project planning sessions, workshops and cultural activities. The programme will help you meet your colleagues, gain valuable work experience and discover the city of Balikesir. The International Staff Week is free of charge. The registration deadline is 24 July, 2015. Hacettepe University organises an Erasmus Staff Week on June 23-26, 2015. We would like to invite our partner institutions to take part in our programme. - Participants will have an opportunity to benchmark different services of the University like Library, Registrars Office, Dormitories etc. - They will have chance to share their experience of the many EU programmes which are part of Erasmus+. - There will be visits both to Sihhiye and Beytepe Campuses of the University. - They will be able to visit the related departments of the university if they like. - There will be city tours and a daily trip. We would like to inform you that our 1st International Staff Week will be held between 13-17 April 2015 at Eskişehir Osmangazi University and the deadline for application has been extended to the 10th March 2015 as we still have place for the staff who would be interested. On behalf of Freie Universitaet Berlin, we would like to invite you to our International Week 2014 – “Student Services and Internationalization” 29 June - 03 July 2015. We have composed a program full of variety – there will be workshops, group events, tours, presentations, sportive activities, and of course time to connect and network. You can find a preliminary version of the program attached to this email. We are pleased to invite you and the staff members of your University to the 3rd Erasmus Staff Training Week at the University of Hradec Králové taking place from 20 to 24 April 2015. We would like to take the opportunity to remind you that Technische Universität Dresden (TUD) is organising its first International Staff Training Week 4 – 8 May 2015 at Technische Universität Dresden in Dresden, Germany. It is our pleasure to invite you to the Second International Staff Week at the University of A Coruña (UDC), Spain, which will take place from 4th to 8thMay 2015. The aim of our staff training week is to exchange ideas and to have fruitful discussions with colleagues from all over Europe. The programme will give the opportunity to discuss mainly about issues related to the field of internationalization and other questions related to other university services. Likewise, it will provide an overview of the University of A Coruña and of the institutions of the staff taking part in the Staff Week. It is a great pleasure to invite you and your colleagues for our 11th Erasmus Week that will be held at the Polytechnic Institute of Bragança from 4th till 8th May 2015. We would like to invite teachers and staff members to participate in this event. Please check our website www.ipb.pt/erasmusweek to see more information such as the Erasmus Week, the Douro Trip and the Portuguese Culture and Language Lecture Programmes. On behalf of the University of Almería, we cordially invite you to our 6th International Staff Training Week from 20th of April to 24th of April 2015. We believe that successful cooperation is based on personal encounters and meaningful exchange of ideas and experiences. We are pleased to inform you about the ERASMUS+ STAFF TRAINING PROGRAM of the Universitat de Barcelona (UB), which will take place during the first part of 2015. This program offers to the participants the opportunity to know some services of the UB, to exchange knowledge and experiences about the different aspects of their fields of interest and, also, to take the opportunity to visit and enjoy the city of Barcelona during 5 days. Join us in networking, benchmarking and sharing knowledge, expertise and experiences with Erasmus partners and colleagues from universities around Europe! University of Jyväskylä welcomes administrative and academic staff on the first multidisciplinary Erasmus staff exchange week organized at JYU on 1-5 June 2015. The week’s program consists of four inpidual parallel tracks and joint social program for all participants. The event will be held 1st - 5th June 2015. This year’s theme will be “Mobility Endorsement in Regional Universities”, part of which will be a presentation of your university and sharing experience about promoting mobilities. You can check out the attached programme which among others includes a workshop with a PR specialist, a trip to Litomyšl and Pardubice sightseeing. TUD’s International Staff Training Week aims to provide a platform for the exchange of knowledge, ideas and best practices regarding the internationalisation of institutions of higher education. The Bremen universities jointly organise their third Erasmus Staff Week focusing on the enhancement of student employability in an international context. We kindly invite you to our International Staff Week at the University of Rennes 1, which will be organized for the second time. This event will be held between 18th and 22th May 2015 in Rennes, France. During the week the participants will have the opportunity to spend a day in one or two services of their choice, and exchange views and best practices. Our programme is designed to make you practice French and also discover the Breton culture. We are happy to invite you to our first International Staff Week in Eskişehir Osmangazi University between 13-17 April 2015, in Eskişehir, Turkey. We hope to meet you and share our experience in international mobility together. Attached you can find our preliminary program and application form. Application deadline is the 31st January 2015. Estonian University of Life Sciences is pleased to invite you to join our first Erasmus+ Staff Training Week taking place on April 20 – 24, 2015. The Office of International Relations of the University of Graz is happy to invite you to the next International Relations Office Staff Days in April 13 – 16, 2015 and we look forward to your participation! We are glad to invite you to our International Week at Mersin University, which will be organised for the first time between 27 April- 02 May 2015. Our main aim by arranging this event is to increase collaboration among all participants. For this reason, the participating partners will have opportunity to make a short presentation of their home institutions on first or second day of the event. Presentations will be in English and should cover following points: Structure of the International Service, participation in exchange programs, courses/ degrees offered in English, activities for international students etc. The study abroad fair will serve for the same purpose, where students and staff will be able to have face to face discussion with our guests. Therefore, please bring information materials as well as some traditional food if you want.